If you’ve watched the news at any point in the last decade and a half, then it’s likely that you have heard of stem cells. Stem cells, in short, are a special type of cell that can turn into any other kind of cell, and they have been researched heavily within the field of medicine. Hypothetically, they could easily help a burn victim regrow skin or heal torn ligaments in an athlete’s knee. However, there are still a lot of things scientists don’t completely understand about stem cells, such as how they “know” which cells to turn into. The University of California- San Francisco sought to answer this question using an unlikely source…mouse teeth. 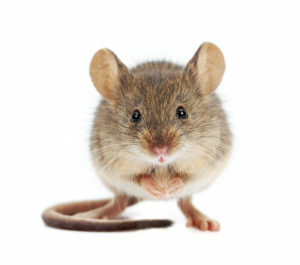 Mouse use their teeth for just about everything, ranging from eating to defense to home building. Because of this constant wear and tear, the teeth, specifically the long, chisel-like ones in the front, have to be consistently regenerated. With the answers to these questions, scientists would be able to more effectively use human stem cells in medicine because they would be able to control how they work within the body. The answers, according to the researchers’ findings, seem to lie with something called integrins, which are proteins that sit within cell membranes and link the internal skeleton of the cells to the larger protein scaffolding of the surrounding tissue. When the integrins in a mouse’s teeth cells come in contact with stem cells, the stem cells naturally start to multiply and regenerate the tissue. Researchers are still trying to determine exactly what triggers this process, but this new discovery provides a valuable breakthrough in the knowledge about how stem cells behave in mammals. Researchers hope to one day use stem cells in humans to heal burns, patch damaged heart tissue, and even grow various organs from scratch. With this new information, scientists are closer than ever to making this a reality, which would be a tremendous advancement for medical science and public health on a global scale. This information could also provide insight into how and why cancer cells grow, which could be essential to learning how to both treat and prevent the disease in the future. Thanks to research like this, medical technology is changing at an ever quickening pace, and in the future, it’s reasonable to think that stem cells will be used to help people regrow and replace their own missing teeth. We’re excited to see where this research goes, and you can trust our practice will always utilize the latest proven science to provide our patients with the highest-quality care possible. Dr. David Weinman is a family, restorative, and cosmetic dentist based in Westfield, NJ, and he regularly participates in continuing education courses to stay on the cutting-edge of dentistry. If you’d like to learn more about everything you’ve just read, he can be reached through his website or by phone at (908) 654-7200.